Distance: 27.7 kilometers (17.2 miles) with 280 meters (about 900 feet) of elevation gain. Lots of sun today. We were told Galicia had lots of fog, wind, and rain...so far, it's been nothing but sunshine and clear views. The first part of our trek was down down down...through the countryside with roosters crowing and cows mooing...down to and through Triacastela. We saw the Biggest Slug Ever on the way to Triacastela. That sucker (black, beside my foot), was HUGE! We went through Triacastela (which has a lot of conveniences...Farmacia, supermercado, albergues, bars/cafes, etc)... The Camino then splits; as always, we chose to go through the country (Brierley's recommended route) toward San Xil, then up and over Alto do Riocabo. Once over the hill, we went through the teeny towns of Pintin and San Mamed del Camino before reaching Sarria. We're happily situated in the private albergue Los Blasones. Beds are eight Euros each and we have a room with just four beds in it (essentially a private room with a shared bathroom). Hugh has to be in Santiago in four days, since he has to be back in the States for a conference early next week. The girls and I have talked with one another about attempting to finish with Hugh...Hugh does not expect us to finish with him, since that would mean the girls walking four 18-mile days in a row starting tomorrow. However, the girls, unbeknownst to their father, want to try tackling that everyday mileage. We know it would mean a lot to Hugh if we all reached Santiago together. The girls are strong and capable enough to take on four 18-mile days in a row...they felt just fine today after 17.2, though we all felt hot and tired when we reached our albergue. We'll see. I've no doubt Alex and Sage are capable, but I want to be sure no one gets overheated or injured. We'll take it day by day and see what happens. Again, Hugh does not expect us to finish with him and as of right now, he thinks he's going to have to bike ahead of us at some point. The girls' blisters are fine...Alex's is going away, and though Sage's blister refuses to disappear, it doesn't bother her when she hikes and it looks healthy (not infected). My toenail never fell off...after the pus eruption a couple of weeks ago, the nail held steady and no changes have occurred since...it doesn't hurt, it just looks "interesting"...both girls continue to enjoy their daily walking and both say they want to continue to Finisterre (after a day or two off in Santiago). We are nearing the end of our journey to Santiago. I have a lot to report...on fundraising for GirlVentures and Global Fund for Women, on the Camino experience itself, on life in general, etc. Once we reach Santiago and take a day off, I'll write on various topics in detail. 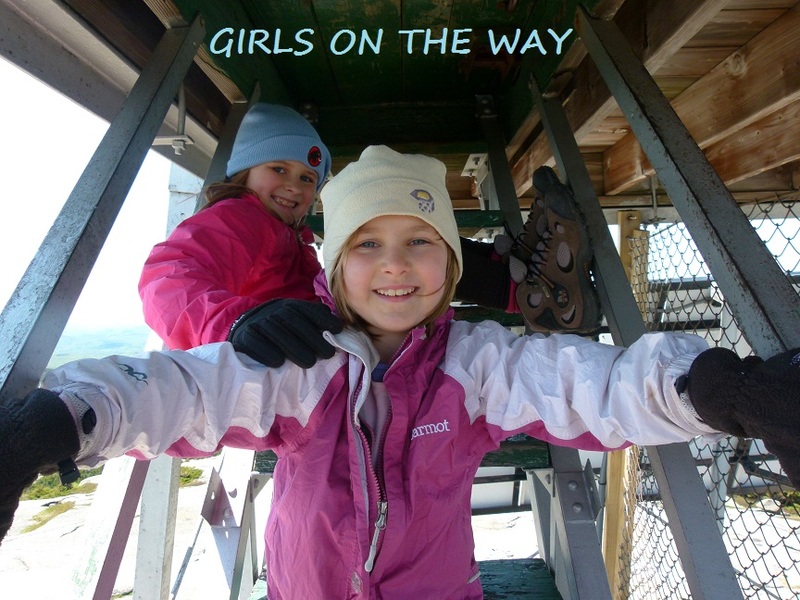 Thanks again to all those who contributed to GirlVentures and Global Fund for Women in honor of us, Girls on the Way. We have either reached or are extremely close to reaching our $10,000 goal ($5000 for each organization). We are happy and proud to be hiking The Way for these two fantastic, female-empowering organizations. If you haven't already donated to one or both of these nonprofits, then I encourage you to do so now using one of the links on this web page (100 percent of your money goes directly to the organizations). your journey with your family. Thank you for sharing .